The grid of streets that makes up central Freetown renders navigation easy. Movement, on the other hand, is difficult, for the city is full up. Hemmed in on three sides by water and on the other by hills, it has been unable to cope with rapid urbanisation and is visibly bursting at the seams. There are people everywhere, their ramshackle tin homes spilling down river banks, oozing up the sides of hills, and tumbling down to the edge of the sea. Not an inch is wasted. Market traders occupy pavements, roads, bridges, churchyards, stairwells, roundabout islands, alleys two feet wide and petrol station forecourts. They display their wares on the ground, on walls, on fences, tree trunks, telegraph poles, lampposts, even on parked cars. Walking the streets is full of hazards. On the pavements you trip over people and merchandise. Forced on to the road you must negotiate the dense stream of traffic, dodging wing-mirrors like a matador. 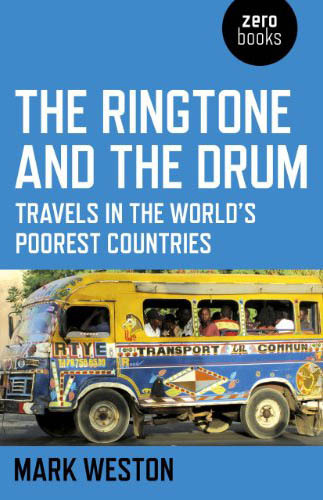 The noise emitted by traders, car horns, DVD shacks, lorries, motorbikes, minibuses and radios is cacophonous. All the time,too, you are assailed by hawkers, beggars, raving madmen and moneychangers. The experience is intense, the claustrophobia heightened by the tall buildings that loom over the streets, trapping the heat and noise and dust and smells of smoked fish, sweat and petrol in a frenzied, chaotic swirl. We wade through, like forest hunters driving a path through thick undergrowth, and take refuge at a street-corner coffee trolley down by the old Government Wharf. After the turbulence of the city the still ocean beyond is a picture of calm. Gulls and kites wheel silently above it. Small, brightly-painted fishing boats work the shallows. Further out a container ship lies at anchor, waiting to dock. We order Nescafés. The coffee trolley belongs to Basheru, a quiet young Guinéen with a clipped goatee beard and a white apron. He came to Freetown a year ago after the military coup in his homeland, convinced that the ensuing instability would limit his opportunities to earn a living, if it did not lead to outright civil war. With his meagre savings he set up as a petty trader, and sold second-hand radios from a table in the street until the police destroyed all his stock one day because he had not bought a licence and could not afford the necessary bribes. He picked himself up, bought some wood, and had a trolley made. He bought a licence so the police would not disturb him, tried out a few different locations before settling on this corner in a relatively peaceful part of town, and learned the coffee seller’s trade. Making coffee is a skilled craft, lovingly performed. First, Nescafé powder and sickly sweet condensed milk are tipped into a small plastic cup. Water is then added from a metal kettle that has been boiling on a stove in the trolley’s innards. To cool and mix the coffee, Basheru takes an empty cup in his left hand, raises the full cup in his right hand to a great height, and pours the scalding liquid between them. He then pours it back. He repeats this process several times, unhurriedly. Only when he is certain that it has cooled to the right temperature for drinking does he hand us the finished product. We stand in the shade of the trolley’s wooden canopy, sipping at the hot, sweet brew, and catch our breath. I ask Basheru about the experience of arriving in a big foreign city with little money and few contacts. ‘It was exciting at first,’ he says. ‘I came from a village in northern Guinea, where there wasn’t much to do. Having all these people around, and all these cars and all this bustle was fun.’ As time passed, however, the novelty wore off; city life became a grind. ‘The excitement has gone now. I feel lonely sometimes. I miss my family and friends. Here nobody knows you.’ Like the new urbanites in Bissau, Basheru is finding the transition to modernity tough. He is scraping a living, but after sending money to his parents — his father was paralysed by a stroke five years ago and can no longer work — he has nothing left, and therefore little hope of advancement. He asks me about life in England, whether it would be possible for him to obtain a visa and find a job. I begin to tell him how hard it is for Africans to get into Britain when suddenly a moneychanger who has been standing nearby and listening to our conversation interrupts aggressively. ‘You colonised us and stayed here for a hundred years,’ he spits, ‘and now you don’t let us into your country.’ Basheru is embarrassed and mutters a rebuke to the man in Krio, but I tell him not to worry about it. I have no answer to the reproach; life’s cards, I am reminded, have fallen in my favour, not theirs. The moneychanger and Basheru are not alone in wanting to escape Sierra Leone. Back in Guinea-Bissau, Joka and Tino had talked vaguely of moving to Europe and knew a handful of people who had already left. Here in Freetown, however, was a much more intense yearning. Here, as the moneychanger’s tone attested, there was urgency, desperation, anger; during our stay in the capital we would be asked on a daily basis for help with acquiring visas or to act as sponsors or guarantors for would-be migrants to Britain — seldom would a conversation finish without such a request being made. Nor is the restlessness limited to street traders. A survey carried out early in 2010 asked people in one hundred and fifty countries whether they would emigrate or stay at home if there was free migration in the world. Fifty-six percent of Sierra Leoneans — a higher proportion than any other nationality – said they would emigrate. Compared with the slow, gentle existence of those who have moved to Bissau, life in Freetown is brutal. When Basheru and his fellow migrants moved here, forced off the land by the population explosion or in search of peace or their own little slice of modernity, they plunged immediately into a vortex. There was nothing to help them settle in. There was no housing, so they had to construct tiny corrugated-iron shacks in already-crowded slums. There was no education — only one in three Sierra Leoneans can read and write — so they could not learn the skills they needed to carve out a career. And there was no health care, so they often fell sick — the country has just one hundred doctors ministering to five million people; life expectancy is forty years. There was nobody, finally, to cushion the fall. Basheru’s loneliness is symptomatic of a wider sense of alienation in the mushrooming West African city. Back in the village you had an identity. People knew you, greeted you, helped you out, talked to you. You belonged to a family, a clan, a close-knit community; you had a name, you were somebody. In Bissau, where villages were transplanted to the city and families and tribes stuck together, new arrivals still have this comfort. Freetown too was once like this. Freed slaves settled with their compatriots: Wolof from Senegal founded the Leicester district, the Congolese Congo Cross; Yoruba from Nigeria settled the modern-day East End near the ferry terminal. But the population boom landed in the middle of this patchwork like a boulder dropped on a tiled floor. In Bissau there is space — the city seeps back unhindered from the coast like water over a floodplain — but Freetown’s growth is constrained by its hills, the ocean and the surrounding river estuaries. New migrants do not have the luxury of building communities and sticking together: they must set up home wherever they can find room. They are on their own, surrounded by strangers. No longer of the village and unable to find a niche in the city, they are confused, dislocated, no longer knowing who they are. The pressure on young West Africans, and particularly on young men, is acute, for although they aspire to modernity and its promises of freedom and control, they cannot ignore the exigencies of old. Like their ancestors before them they are expected to set up a home, marry at least one wife, and accumulate children and other dependants. Until they pass these tests, society will not see them as adults. Those who must continue to rely on others to supply them with food, money, shelter or work — be they more successful relatives, or patrons encountered through some other stroke of serendipity – cannot earn respect, and cannot become men. It was pressures such as these that forced many young men to the cities in the first place, for the population boom had made it impossible for them to achieve their goals in the village. But the city is no panacea. As their countries have grown poorer, young West Africans are having to wait ever longer to attain adulthood. There are men aged twenty, thirty, even forty who are still seen by society as children. Their elders, born at a more propitious time, have sequestered their nations’ treasures, and there is nothing left for the younger generation. Back in Dakar, Lamin, the caretaker of our guesthouse, who had moved to the city from the interior to make his living but remained unmarried in his thirties, had complained that he could not find a wife because he was considered too poor (at the guesthouse he slept on the ground outside, behind the metal door of the yard, a parka jacket with a fur collar his only defence against the night-time cold). ‘Girls only want to marry men with money,’ he said, ‘but I can’t afford a house or a car, so they’re not interested in me. If you don’t have money they don’t see you as a man.’ Today’s young men, far from fulfilling their duty of gathering dependants, are instead condemned, perhaps forever, to reliance on others. They are stuck in a cruel trap: their poverty means they cannot break free of their dependency, and without breaking free it is impossible for them to amass dependants of their own and complete the transition to adulthood. Many look abroad for escape, and the target of their wanderlust is the West. Just as their ancestors, the chiefs and bandits who sold their fellow men to lay their hands on European goods, were drawn irresistibly to what the white man had to offer, so are many of today’s young Africans defenceless against the West’s allure. Europe and America not only possess abundance (the growing economies of Arabia and Asia might offer equally promising opportunities to escape the dependency trap, but few talk of moving east); they also symbolise modernity and change. Guineans have been shielded from Westernisation by their country’s remoteness, and by the lack of electricity which renders televisions, cinemas and computers redundant. Urban Sierra Leoneans, by contrast, are bombarded with Western images. Freetown is replete with generator-powered DVD shacks showing the latest American films and pop videos; mobile phone companies promote their appliances as emblems of the modern lifestyle; foreign aid workers ply the streets in Land Cruisers; and politicians, as eager as the chiefs of old to adopt the airs and attitudes of the West, parade through the capital in German cars, Italian suits and American sunglasses. After leaving Basheru we walk across town, past the bat-filled Cotton Tree [where the first returned slaves thanked God for their safe arrival], its grey trunk folded like an elephant’s skin, past lines of rickety clapboard Creole houses (the style of the buildings brought back by freed slaves from the North American plantations), past the old Maroon church whose roof timbers were torn from slave ships, and down into the Kroo Bay slum. 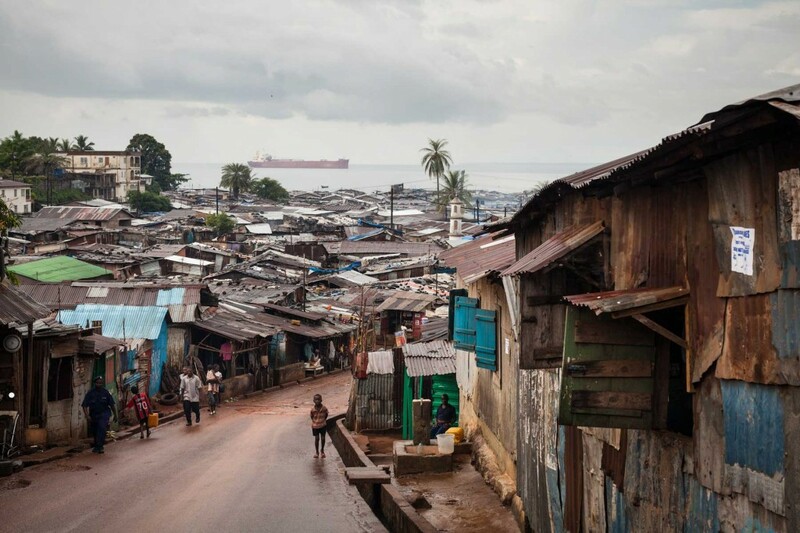 Originally settled by Kroo from neighbouring Liberia, who migrated here to work on British sea liners in the early twentieth century, the slum is now home to a mishmash of peoples from all parts of Sierra Leone. The Kroo have been joined by Temne, Limba, Mende and Fula. There are Christians, Muslims and animists; numerous different languages are spoken. Only the age of the inhabitants is relatively homogenous: four in five are below the age of thirty, well over half younger than twenty. Ryszard Kapuscinski hailed slums as ‘the highest achievement of human imagination, ingenuity, and fantasy.’ Using nothing but tyres, corrugated iron, old car doors and bits of wire and wood, the Kroo Bay residents have constructed a small miracle spilling down the hill from the Cotton Tree to the sea. The walls of their tiny houses, fittingly known as pan-bodis, are made of patched-together sheets of rusted zinc or iron. Windows have been cut out and covered with wood or metal shutters. The corrugated-iron roofs, held down against the wind by tyres, are propped up by wooden poles dug into the hard mud outside (on a few of the roofs there are satellite dishes). There is neither a brick nor a layer of cement to be seen. The narrow alleys between the closely-packed houses are unpaved. They wind down the slopes of the settlement like dried-up mountain watercourses. We pick our way down to the bottom, where a sluggish brown stream gathers up its final dregs of filth before depositing them into the sea, and find a shack selling cold drinks. A skinny old man sitting on a bench inside moves up to let us sit. We are soon joined by a group of teenage boys, while a huddle of younger children gathers outside in the sun to watch the foreigners. The old man, Edward, is a veteran of the British merchant navy. He has been to Bristol and Liverpool, he tells us proudly, but is angry with the British because the pension he is owed after many decades of service has not been paid. He and his former colleagues have complained to the authorities, but are still awaiting news. Neither Edward nor the teenagers are happy with conditions in the slum. Fewer than six hundred of its eleven thousand residents have running water in their homes. None has a toilet — four public pit latrines serve the entire population — and there are no defences against the regular rainy season floods. The global economic crisis and rising food prices, meanwhile, have hit the slum hard. A micro-lending organisation that operates in the area has seen its profits halve in the past year as default rates on loans have tripled. Jobs are harder to come by than ever. 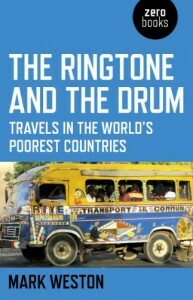 Extracted from The Ringtone and the Drum: Travels in the World’s Poorest Countries by Mark Weston (Zero Books). © Mark Weston 2012. Mark Weston is a writer and policy adviser specialising in international development. He contributes regularly to Global Dashboard, the foreign-affairs blog. For more about his work, see theringtoneandthedrum.net. Pictures © Dan Vernon. 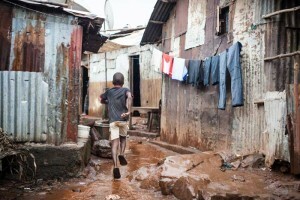 Dan Vernon travelled to Sierra Leone towards the end of 2013 on assignment for the charity Educaid. For more of his work, see his website. Father tells me about mobile data recovery services web site. . Sister tells me about mobile phone data recovery web site.